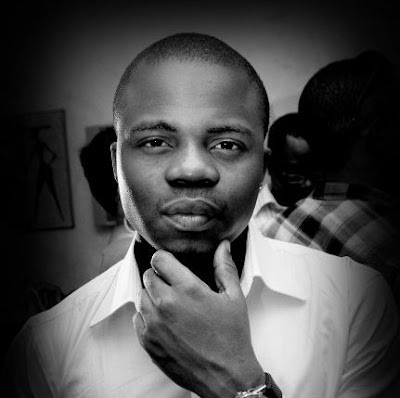 I am sure most of you have heard the terrible news that Yoruba rapper Dagrin aka Emilomo Lan, CEO of Miosofunyin Entertainment passed away earlier today. I am so so saddened by this news as I am a HUGE fan of Dagrin, and have been for a long time. What hurts me the most is that I have been meaning to do an article on break out stars of 2010 about him, Nneka, Ice Prince and Jesse Jagz for a while now, and I have just been procastinating as usual. This WAS HIS YEAR! I cannot stress how HUGE a fan I am of him, all my friends were starting to say I have found my new 9ice. I love people that rap in local languages as it gives it a great flavour. Actually, one of my twitter updates a couple of weeks back was "I think I officially own Dagrins songs just waiting for him to release some more". He was one of those artists who sounds great on other peoples tracks because he always brings a certain raw edge to it, which is why he was so in demand. He was a lyrical genius as well, so gifted with sending across raw life lessons and telling his life stories, on a mad beat and packaging it as a "party song". The words sound 100 times as better in yoruba and flow poetically. DEEP STORIES OF STRUGGLE. Another song of his I love is Thank God with Omawunmi. He has a number of features, but Pon Pon Pon is his first official video from his debut album Chief Executive Omoata(CEO) which recently dropped. It is not often that we hear rags to riches stories in Nigeria, where hard work actually pays off, but Dagrin showed that anyone can do it, as long as they are persistent and talented. He created his own unique style, flowing in Yoruba, one of the very few rappers today that do that. He did not imitate anybody and this is what lead him to success. I am so deeply hurt by his tragic and untimely death, especially at the height of his success. As you can tell I am a big fan. May his soul rest in eternal rest, and may his music live on. saw this Guy with KK and D1 in the program Prime time Jamz about a month ago. 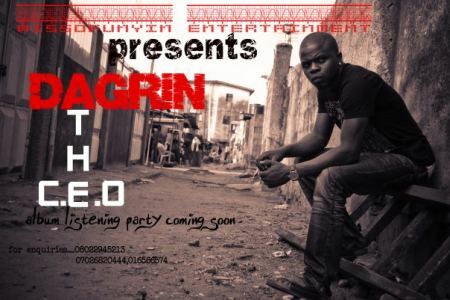 and i said to my self atleast i see another original comtemporay nigeria artist in the same par wit 9ice. RIP. Respect. I am too, after my friend's call yesterday about him. Not known him for long. Too sad and he was soo young as well. RIP omo Naija! Awww, this is a touching tribute. Thanks for sharing. I'm not a big fan but it is painful to lose such a young talent. May his soul rest in peace.